(1). 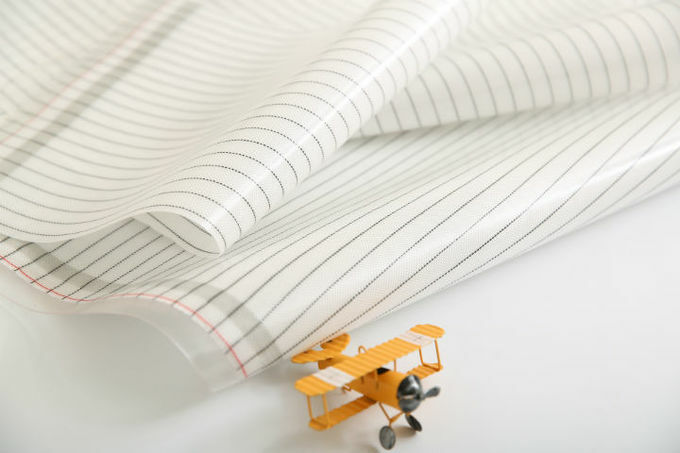 PET film is using an EVA copolymer adhesive that double layer glued together, which it can be torn by external force . (2). 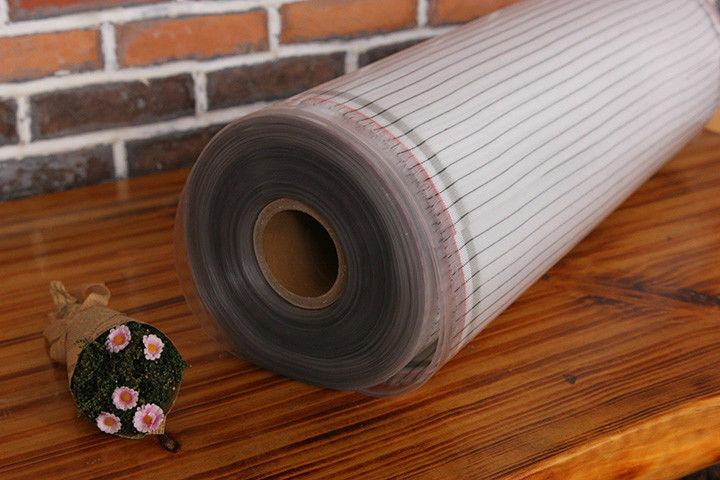 The carbon paste is printed on the PET membrane directly, which it can damage it easily. (3). PET is sort of hard material, which unable to fold. The TTWARM belongs to the flexible material which is not afraid of folding. (4). The automatic circuit breaker mechanism of 180-degree synthetic fibre to avoid fire risk. Why choose the heating film for the floor and not a heating cable? 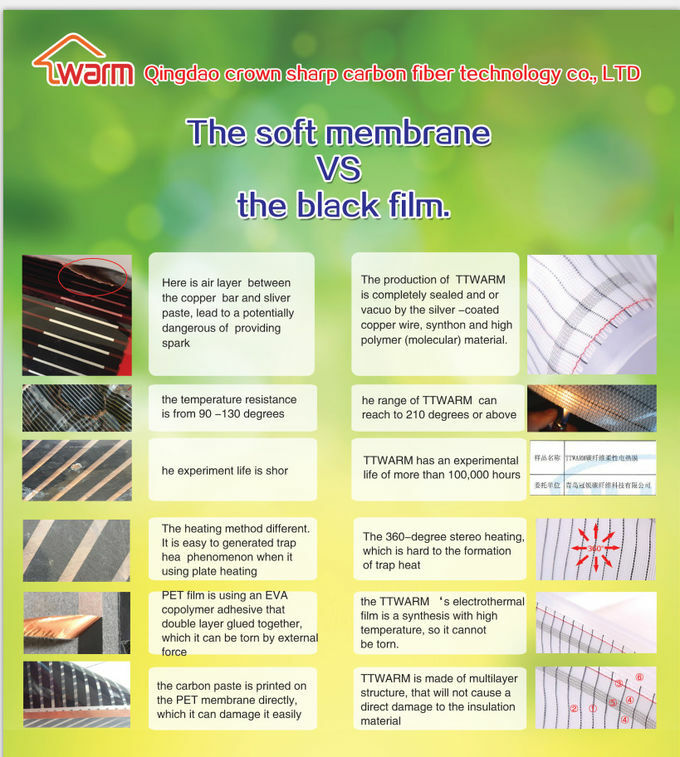 The heating film is evenly distributed in the floor (without gaps), which means that it better transfers heat onto the floor surface. Thermal control is also more precise. The heating cable can be installed only in the concrete layer. 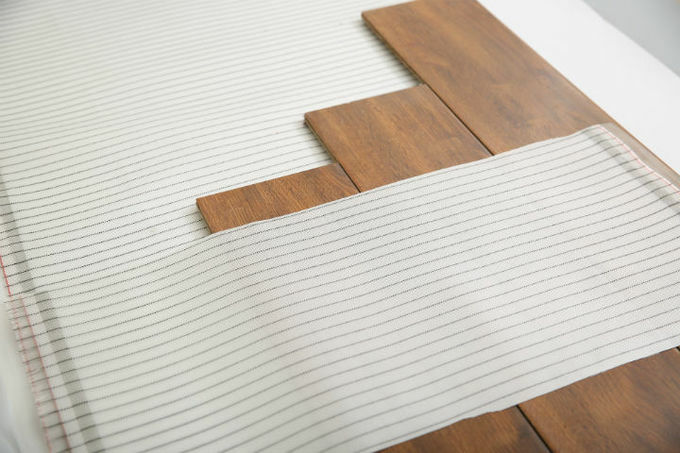 The heating film is installed directly under the flooring with all types of floor coverings (except for tiles). In addition, the installation of the film is much easier on principle and also faster in terms of your house construction.